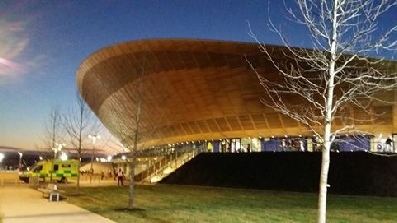 On 18th April 2014 The SCCU Good Friday Meeting will be departing one historic Olympic Venue for another as it makes a move from Herne Hill to Lee Valley Velopark to help celebrate the opening year of the park and the cycling legacy of London 2012. We know that many of our supporters at Herne Hill will be disappointed that they will not be making their annual pilgrimage to Burbage Road - and it will certainly be a very strange feeling for us to not be unlocking the gates at 6 o’clock in the morning – but after 110 years of forecast watching we will not be at the mercy of the British weather this year! This decision has not been taken lightly. We’ve spent several months weighing up all of the options whilst constantly aiming to bring the best afternoon’s racing we can to our loyal supporters. Herne Hill is a much-loved and highly respected venue and work to renovate and evolve into a multi-use facility is ongoing, taking it from strength to strength and elevating it far above it’s Victorian peers. 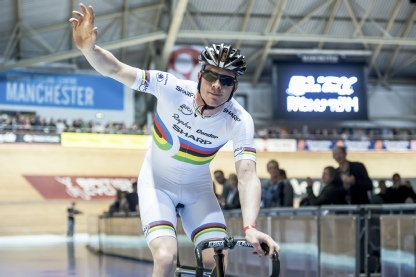 Whilst the Good Friday meeting is undoubtedly a part of the velodrome’s history we are aware that track racing has moved on over the years and the event also needs to evolve to meet the expectations of the new generation of enthusiasts and supporters. With this in mind, we felt that it was appropriate to bring the meeting to an indoor venue. Rest assured, Herne Hill will continue to be a home of world-class events and we fully intend to expand the number of outdoor-specific and continental-style events we promote at the venue, returning to the traditions and racing styles which the venue has hosted for over a century. To our traditional supporters we say come with us, and to our new supporters we say welcome to some great racing! What a fantastic day we had! On behalf of the SCCU I have to thank all the riders, officials and, most importantly, the spectators for their support for the meeting. The racing was superb, the atmosphere electric and, according to the many emails, tweets and facebook posts, the crowd loved it too! The full results for the day can be found above. Many, many thanks for organising such a brilliant meeting over the weekend. I LOVE Herne Hill, but I remain convinced now that Lee Valley is the way forward for the event to continue to grow. 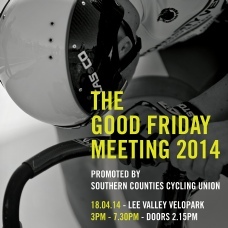 Just wanted to say that I really enjoyed the Good Friday meeting. I’m sure it will go from strength to strength in the new venue – definitely the way forward for the future.